Lou Florence served in Africa and Italy in WWII. He moved to Boise with his family in 1972. 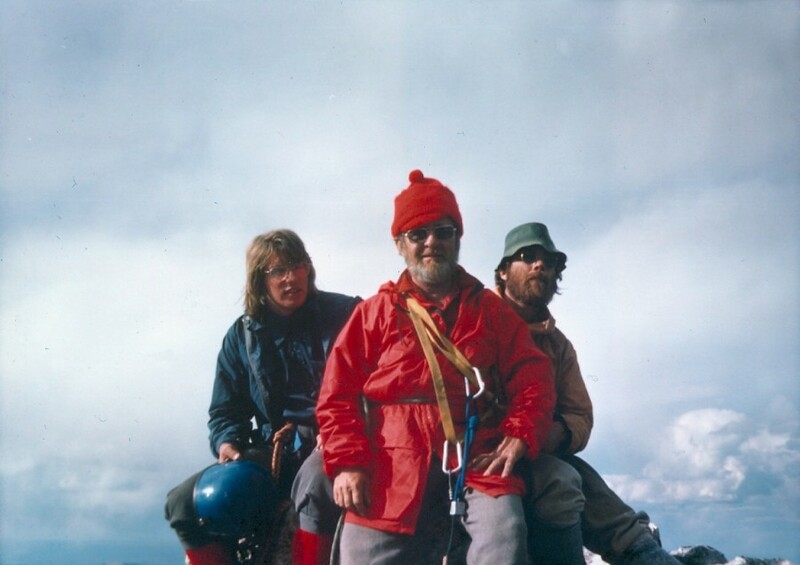 He and his son Frank started Sawtooth Mountaineering, Boise’s first dedicated climbing and Nordic ski shop. An avid hiker and scrambler himself, Lou used Sawtooth Mountaineering as a venue through which to promote outdoor recreation. 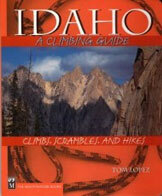 Throughout the 70’s the shop offered introductory rock climbing and mountaineering instruction and helped to broaden the base of active climbers in southwestern Idaho at that time. This coincided with the early development of climbing routes in the basalt columns along the Boise River (The Black Cliffs). He also brought guest speakers/instructors to the shop including Henry Barber, Louie Stir, Royal Robbins, Bill March and British mountaineer Doug Scott. Lou was also active in the development of some of the first Nordic ski trails in the Boise National Forest and he was an early advocate of the Boise River Greenbelt. 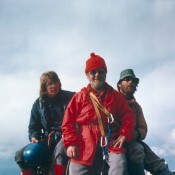 Bob Boyles, Lou and Frank Florence on the summit of the Grand Teton (photo by Mike Weber).